Welcome to the Côr Meibion Bro Dysynni. 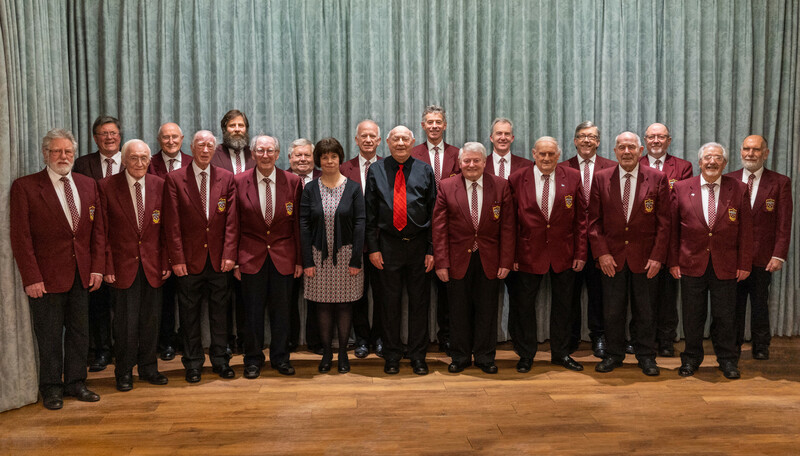 We originally started as a small choir in 1967 in Bryncrug. But for many years now we have been based in Tywyn, a seaside town on Cardigan Bay at the mouth of the Dysynni Valley. While the choir enjoys singing at larger venues, most of our efforts are focused on serving the local community. Recently we have had the satisfaction of a list of varied concerts in our diary all over our area. The choir will take requests for concerts, if you are interested, please contact Bryan Davies. Rehearsals are held weekly on Wednesday evening at the Baptist Church on Tywyn High Street at 7.30pm led by Mr Jim Chugg. Supported in his efforts by our accompanist, Max Birchenough. We sing a mixture of traditional Welsh songs and songs from contemporary musicals. Jim lives in Manchester but he is present in every concert and rarely misses a practice. We really like to hear the views of our audience after concerts so we invite you to contact us if you have something to say.